One can buy stamps, ship letters and packages, and use the fax machines at the post office (however, stamps can also be bought at the tobacco stores). The post offices also have small computers where telephone numbers and addresses can be looked up. 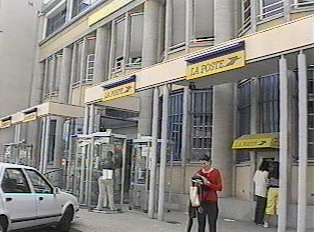 Post offices also function as banks. They are open from 8:30 a.m to 5 p.m. and are spread throughout the cities and towns. Pay phones are almost always located either outside the building or nearby.